Maria Jackson Insurance Agency, a family owned insurance firm with offices serving San Antonio and the surrounding communities, is launching a cooperative charity drive with The Children’s Shelter with the aim of providing critical services to children in the area who are survivors of neglect, abuse, and abandonment. The Children’s Shelter has been working to improve outcomes for neglected and abused children in central Texas since 1901. CS offers both a trauma-informed care certified center as well as emergency housing and residential programs that provide stability and security for children seeking permanent housing through foster care and adoption. “No child in Texas should be without a home, and this charity drive is an opportunity for the people of San Antonio to offer a helping hand to the children who most need our help,” said Maria Jackson, founder and manager of Maria Jackson Insurance Agency. 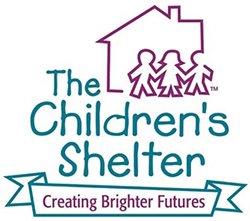 To help publicize the Children’s Shelter charity event, Jackson and her team are establishing an online social media presence and initiating an email awareness program. Maria Jackson Insurance will also be producing a full page article detailing the charity drive in the next edition of “Our Hometown,” a monthly online magazine published by the firm: http://www.mariajacksonagency.com/Our-Hometown-Magazine_39. Jackson and her team aren’t stopping with the Children’s Shelter – this charity drive is only one of many recently undertaken by the firm, and the Maria Jackson Insurance team is committed to assisting another Texas charity or cause semi-monthly from here forward. Readers who want to join Jackson and her team in supporting the San Antonio Children’s Shelter can make a personal contribution to the cause from this page: http://www.mariajacksonagency.com/Duffle-Bags-of-Love-For-Our-Foster-Kids_17_community_cause. Readers who want more details on the other causes and charities supported by Maria Jackson Insurance can review the Community Causes list here: http://www.mariajacksonagency.com/community-cause. Serving from offices in San Antonio, TX, Maria Jackson Insurance Agency is committed to bringing local communities an insurance agency that understands their needs. Taking pride in its team of professionals, Maria Jackson Insurance Agency works with carriers to assemble a variety of products and services for its customers. From all of the products a typical consumer needs (home, auto, boat, ATV, etc.,) to all financial services products and tools (retirement, savings, long term care, disability, etc.,) and business insurance (liability, building, auto) to workplace and individual benefits (accident, critical illness, cancer, disability, life), Maria Jackson covers all the bases for insurance needs in the San Antonio, Texas area. To reach the Maria Jackson Insurance Agency, call (210) 494-2471.